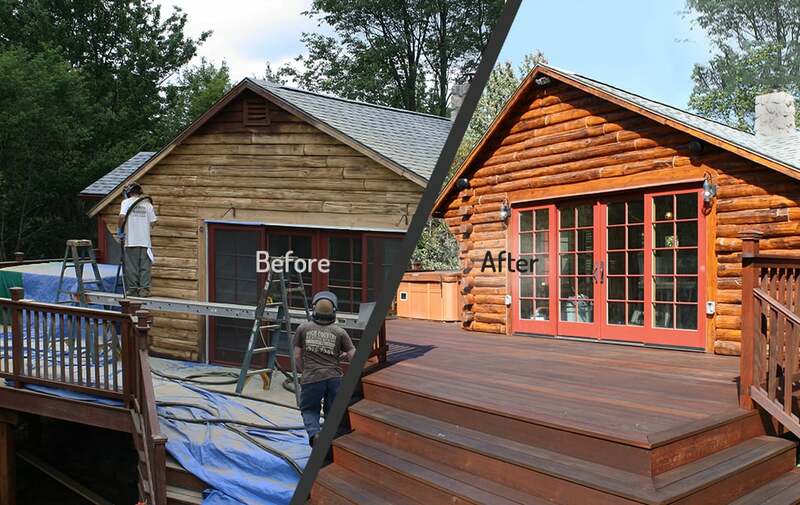 Staining and sealing are the most important processes in restoring and protecting your log home. Every home needs to be treated with the proper products that will allow it to breathe, resist moisture and fight the environmental effects of UV rays, snow build-up, and driving rain. Not all log stains are created equal, and it is imperative to choose the right stain for your specific project. When you go to the expense of a complete or partial restoration, be sure to finish the job with products intended to withstand the elements — especially if it’s a new log home receiving its first finish. High Country Restoration supports high-quality products from industry leaders – Sashco and Weatherall. We are certified applicators for both companies. By using the best log staining products available and employing our time-tested techniques, our approach produces lasting results and protects your investment over the long run. Our experts will help you determine the best stain for your project – all you need to do is choose the color. After your house has been media blasted, the crew buffs the surface with an Osborn brush to remove any raised fibers and create a smooth uniform surface. Never let someone sand your log home — it strips off the top layer of the wood and inhibits stain and sealant penetration. After the surface is prepared, the crew uses low-pressure sprayers to coat all log surfaces with a continuous, even coat. While applying, we back brush by hand to prevent excess stain from forming drips and runs. This two-step process creates a superior, blemish-free result every time. If a job requires re-staining, we low pressure wash the logs to remove pollen, dirt, and peeling stain. We repair any surface defects and let the logs dry. Applying stain to a moist surface results in stain failure and log damage. Nothing is applied until the conditions are just right. Re-staining is performed with brushes to ensure proper absorption, coverage, and blending. As far as maintenance, we recommend an annual “soft wash” and log inspection to extend the life of your new stain and keep it beautiful year after year. Learn more about SoftWash on our Maintenance Services page. 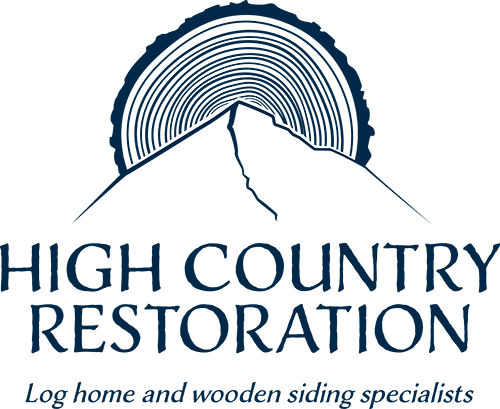 High Country Restoration did a superb job restoring my Connecticut log home to pristine condition. They repaired the chinking throughout the house and applied a rich honey colored stain which made our 20 year old home look like new.